Sweet Lulu's now has the cutest little bakery/coffee shop in downtown Charleston. 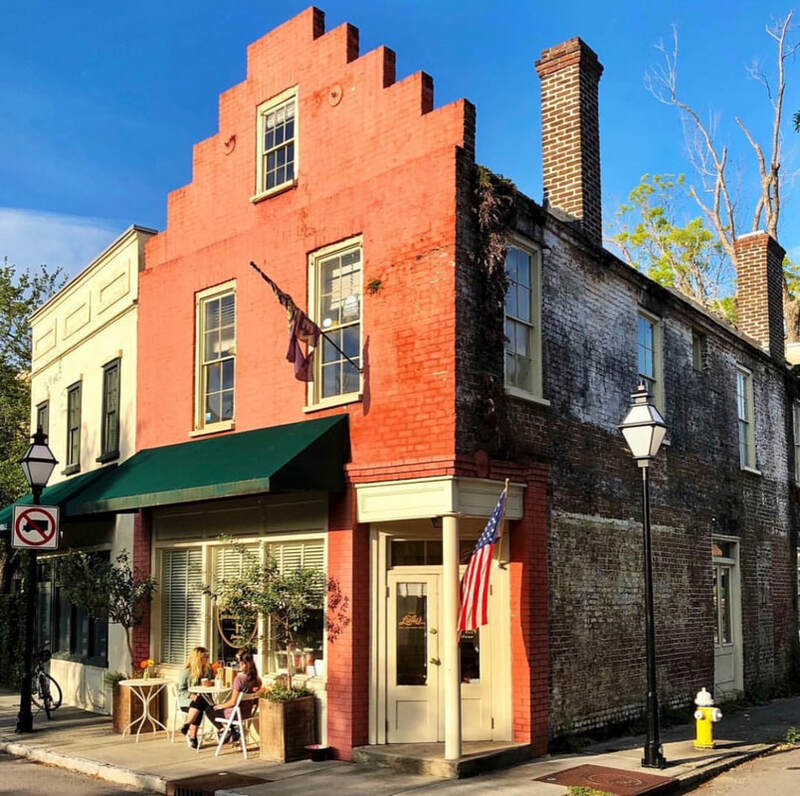 We're conveniently located one block off King Street and one block from Louis Vuitton and Belmond Charleston Place Hotel. There is also metered parking directly behind our new shop at 49 Archdale St.
We serve an assortment of fresh baked breakfast pastries as well as our signature mason jar desserts. Whether noshing on our baked and never friend vanilla and bourbon doughnut, moonshine pop tarts or apple turnover tarts, we'll make your Charleston breakfast just that much sweeter. We only use locally roasted King Bean coffee. We serve freshly made Chemex pour over coffee and use Hario's cold brew coffee jugs. Every Friday we featured a new treat. Past treats include gluten-free chocolate chip cookies, vegan chocolate cupcakes, sticky buns, moon pies & more.